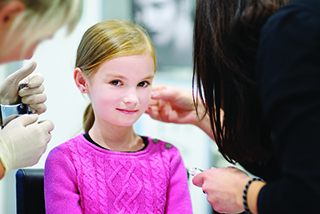 Your Capital Chemist offers a professional and hygienic ear piercing service. With a wide range of jewellery to choose from we can make the process as easy as possible. Whilst bookings are not required, it's a good idea to phone ahead to check that we have trained staff available. Full after-care instructions and products are included with the service. Conditions apply for children - talk to our friendly staff.